It’s a relatively short review this week – we’re in the middle of moving house and therefore also nursery, and I’ve had a full on week of toddler so time has been lacking. The gin (come evening time of course) however, has not. Enough said. 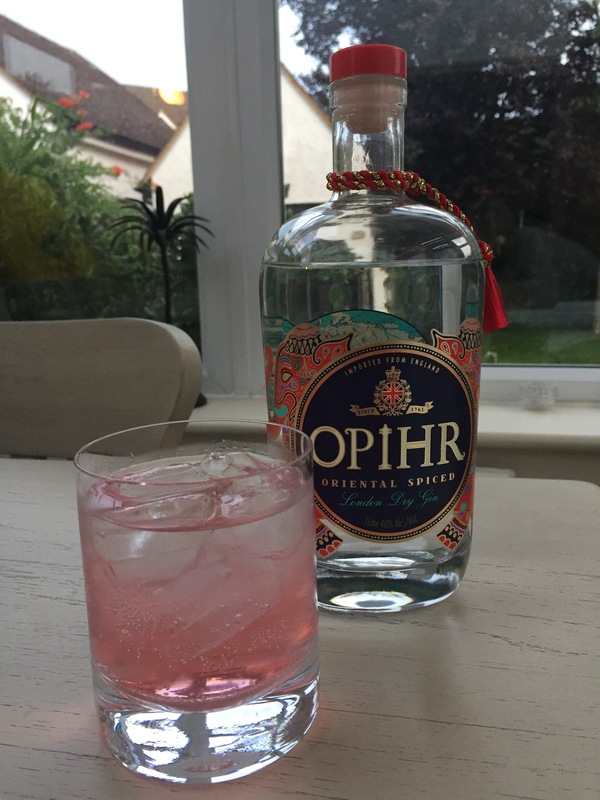 Opihr (pronounced o-peer) has become a go to of mine when I want something that isn’t a classic ginny-gin. It’s warm and spicy, and pairs really well with the Fever-Tree aromatic tonic and a slice of fresh ginger. It’s also nice without the ginger, if you happen to go to garnish your drink and find yours shrivelled and dead in the fridge as I did when I came to take a photo for this post. Details: “An oriental spiced gin inspired by the exotic aromas of the ancient spice route”. Distilled in England using the traditional London Dry Gin method. Bottle: Chunky in the hand, the litre bottle available at airports is a bit unwieldy to pour. Elephants feature on the label and it comes with a tassel so extra points for that. There was a special edition over the summer that came with a leather outer casing which personally I found a bit weird. Serve: Fever-Tree aromatic tonic and a garnish of fresh ginger. Tasting notes: A warming gin, to my taste there are standouts of cardamon and cumin, and a bitter grapefruit note. Drink, buy or bin? I buy this regularly.